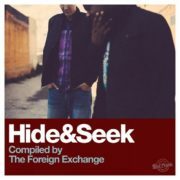 Oakland Bouncers: Win Tickets To See The Foreign Exchange In Concert! 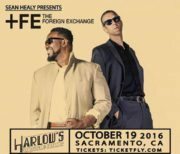 Sacramento Bouncers: Win Tickets To See The Foreign Exchange In Concert! Los Angeles Bouncers: Win Tickets To See The Foreign Exchange In Concert! 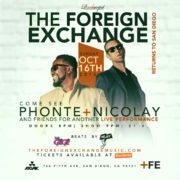 San Diego Bouncers: Win Tickets To See The Foreign Exchange In Concert! Las Vegas Bouncers: Win Tickets To See The Foreign Exchange In Concert! New Orleans Bouncers: Win Tickets To See The Foreign Exchange In Concert! Austin Bouncers: Win Tickets To See The Foreign Exchange In Concert! Dallas Bouncers: Win Tickets To See The Foreign Exchange In Concert! Memphis Bouncers: Win Tickets To See The Foreign Exchange In Concert!